The Gizwits IoT Cloud is a one-stop intelligent hardware development and cloud services platform that has been built by Gizwits with many years of deeply rooting in the industries as well as actionable insights for individuals and enterprise developers. The platform provides capabilities ranging from products definition, device-side development and debugging, application development, End-of-line test, cloud-side development, operations management, and data services etc., which cover full lifecycle services from intelligent hardware provision to operation management. The Gizwits IoT Cloud provides developers with self-service smart hardware development tools and open cloud services. With self-service tools for novices, comprehensive SDKs and API service capabilities, the platform lowers the technical barrier for IoT hardware development, reduces R&D costs, accelerates products launch speed, and helps developers promote the intellectualization of products to better connect and serve the end consumers. 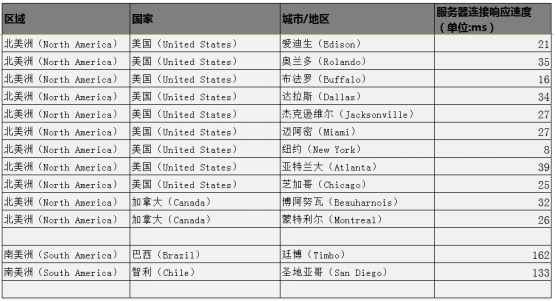 Enterprise API: Provides device control, device management, device location service and device data service etc. 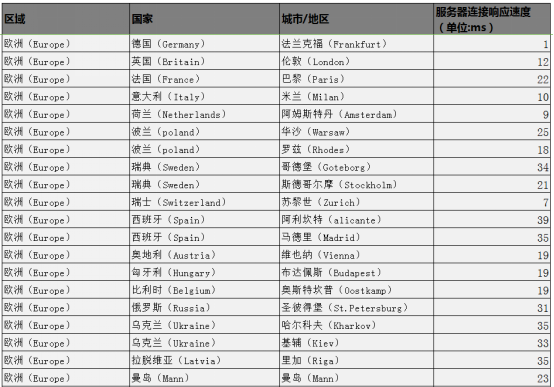 1.The network response times in Guangzhou, Shenzhen, Guangxi, Hunan, and Fujian cities/regions are all less than 20ms (0.02 seconds); the network response times in other cities/regions of China are generally less than 40ms (0.04 seconds); the network response times in Singapore, Malaysia, Indonesia are less than 20ms (0.02 seconds); other cities in Asia are less than 70ms (0.07 seconds). 2.The response time in the Middle East is less than 70ms (0.07 seconds); the average response time in Oceania is about 98ms; the average response time in Africa is about 150ms (0.15 seconds); the overall situation remains good. 3.The overall network response time in Europe and other regions is less than 40ms (0.04 seconds). 4.The overall network response time in North America and other regions is less than 40 ms (0.04 seconds); the average response time in cities/regions of South America is 146 ms (0.146 seconds); the overall situation remains good. Gizwits provides the Gizwits App SDKs, Gizwits App Framework, and WeChat SDK to facilitate the quick building of mobile applications. You only need to implement business functions according to the tool guides without considering the underlying functions. Gizwits App SDKs facilitate developers to rapidly complete App development. You only need to focus on the App UI and UE design, while relatively complex protocols and error handling can be ignored. In order to let developers quickly grasp the process of device connection, Gizwits provides two guides to device connection for MCU and SoC schemes respectively based on Gizwits open-source development kit - Gokit. Both guides take the smart light as an example. Note: It is not necessary to use Gokit for device connection. GAgent is Gizwits’s hardware connectivity with the embedded system firmware that can operate in Wi-Fi modules, GPRS modules and PCs etc. Devices access Gizwits IoT Cloud through the GAgent. 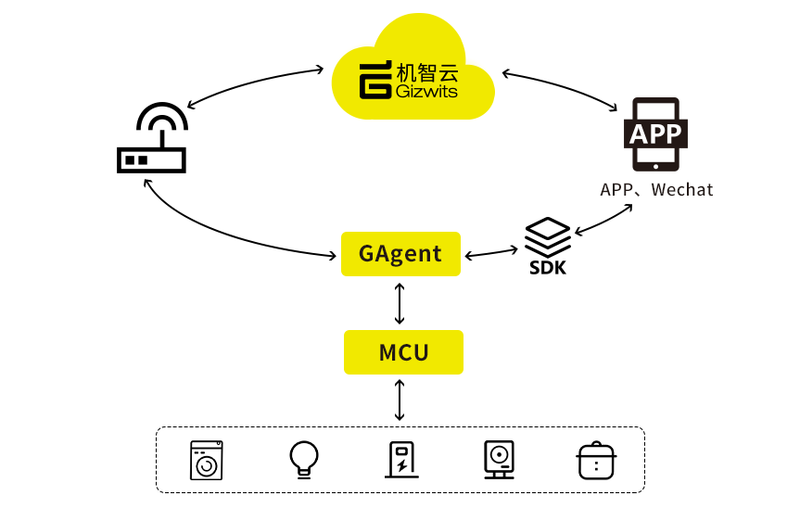 GAgent provides the communication protocol between cloud and MCU, so that, according to the protocol, developers can realize the communication between MCU and GAgent. The main role of GAgent is data forwarding. 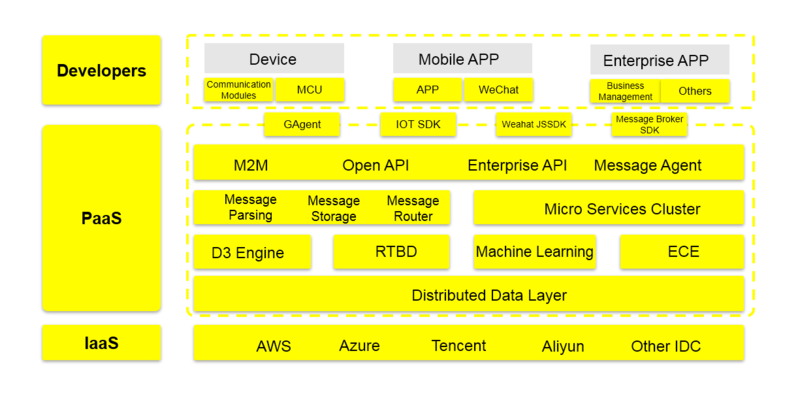 It is a data exchange bridge among devices, Gizwits IoT Cloud, and applications (App). In order to enable different communication modules to connect to Gizwits IoT Cloud, we provide multiple firmware downloading methods and debug log collecting methods for those modules to ensure that the GAgent firmware runs normally on the modules. Note: Please follow the following steps when downloading firmware to modules, otherwise unknown errors will occur. 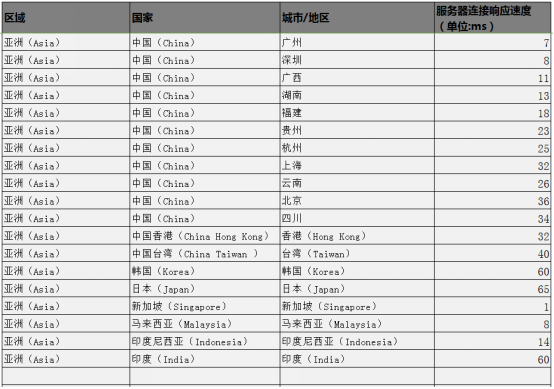 In order to reduce the barrier for development, shorten the development cycle, and reduce the investment in development resources, Gizwits has rolled out Gizwits MCU Code Auto-Generator, which generates the device-side code for the corresponding product based on the defined product data points. In order to enable developers to experience the Gizwits service faster, Gizwits open-source development kit - Gokit is offered for developers to learn and reference, so that developers can connect their own products to Gizwits IoT Cloud quickly.